Instead, Carpenter opted for Roger Corman’s New World Pictures effects team, which included brothers Bob and Dennis Skotak, along with a pre-Terminator James Cameron. All three had worked together on the Corman-produced Battle Beyond the Stars, producing memorable effects at a bargain price—a Corman requirement. Cameron, for his part, was greatly influenced by Carpenter (and takes credit for getting the Escape from New York gig). The look and grit of Escape from New York is all over The Terminator, and a number of scenes from Aliens (1986) mirror scenes from the Carpenter classic: Hudson (Bill Paxton) getting dragged into the floor by the aliens is a riff on the woman (Season Hubley) in Chock Full O’Nuts getting dragged into the floor by the “crazies,” and “the thing with the knife” that Hudson makes Bishop (Lance Henrikson) do is a direct homage to Dark Star—which, coincidentally, was co-written by and stars Dan O’Bannon, who animated the X-Wing targeting display in Star Wars and went on to write Alien (1979). At that time computer graphics were still in their nascent stage. Most of the computers used to do very simple animations were large, expensive machines reserved for research work at large corporations and universities. 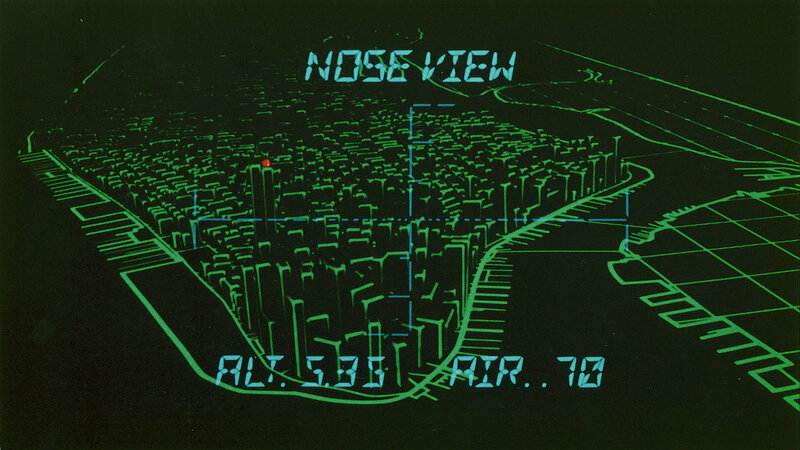 In the instance of Plissken’s glider sequence, I knew that a computer model of the island of Manhattan, with hundreds, if not thousands of structures, would be beyond the capacity of any computer that existed then. So Wash and colleague Mark Stetson built three miniature models of Manhattan that corresponded to Plissken’s flight path. 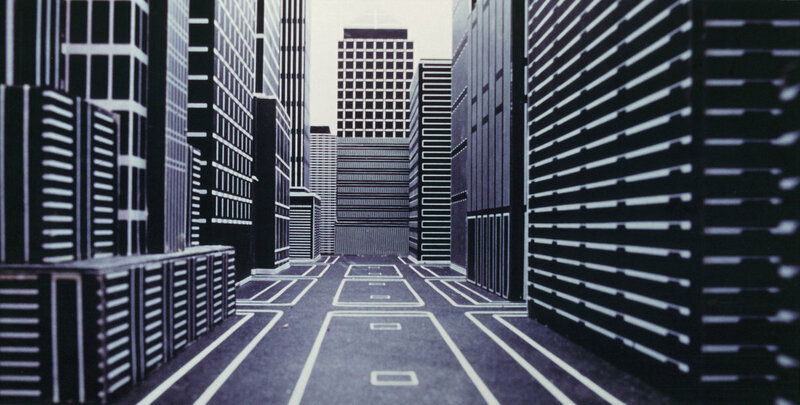 To make the navigation readouts appear on screen as wireframe renderings, the buildings were constructed out of black material, with the edges and corners painted white. 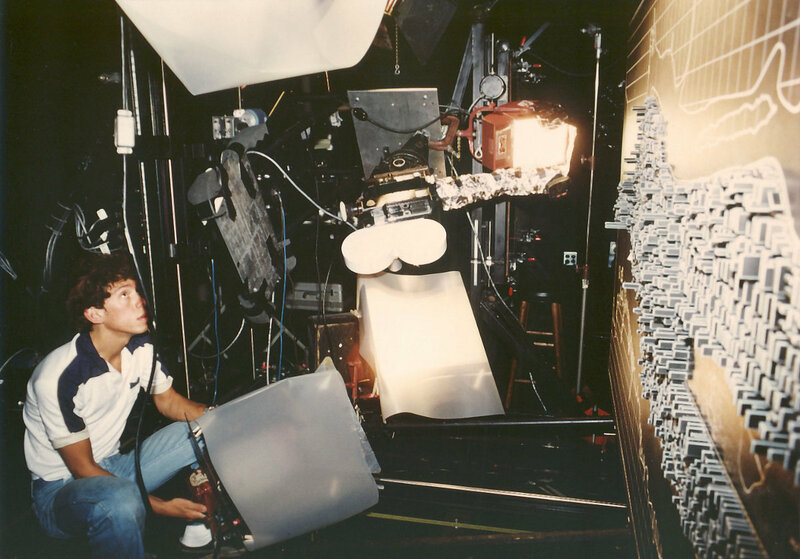 Then the models were shot by Hoyt Yeatman (visual effects supervisor on The Fly and James Cameron’s The Abyss) and Scott Squires (visual effects on Willow and The Hunt for Red October), in one instance using a special “snorkel” camera that fit between the buildings in one of the city models. 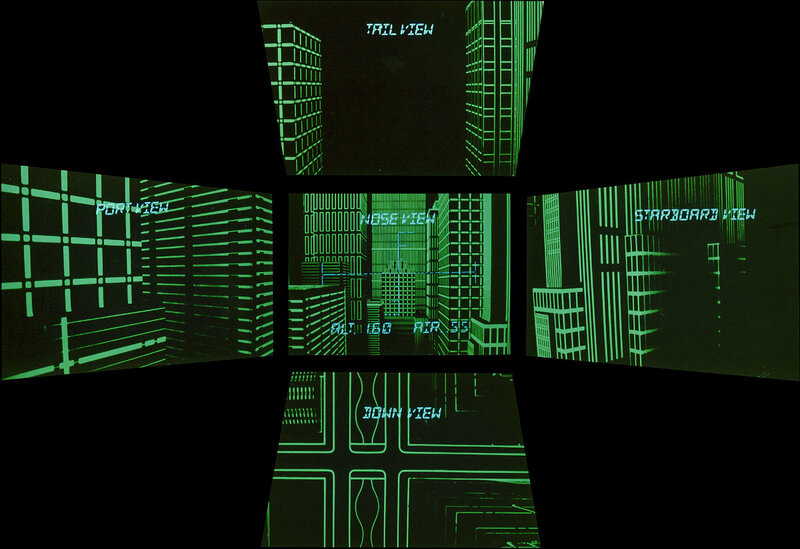 A third-party optical effects company then added graphic overlays to achieve the green on black that was standard visual display on almost all of the computer screens of the day. The rest of the approach sequence was shot using three different glider models and different scale Manhattan miniatures built by the Skotaks, Cameron, and others on the New World Pictures crew.